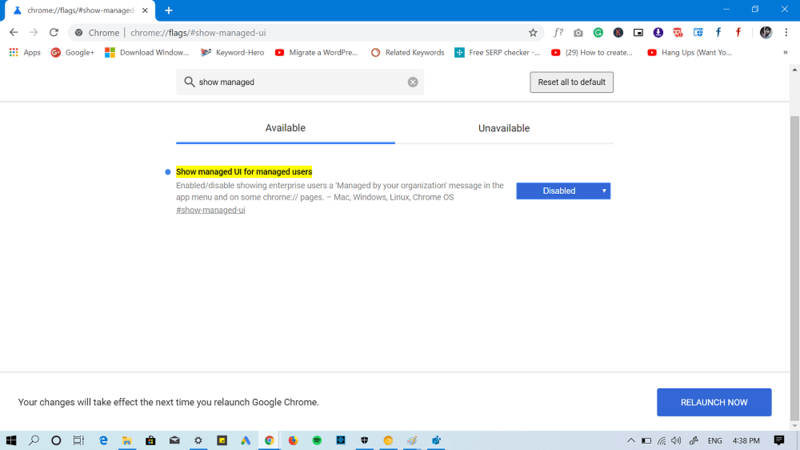 If you’re using Chrome 73, then you might have noticed “Managed by your organization” in the Customize and control menu, unfortunately, you’re not alone. Let’s learn what this message is about and how to get rid of it. Your Browser is Managed by your organization message inform users that the Chrome browser is managed by a company or other group. You can check this Google Support page to find out more information about it. You can check this thread on Chrome help forum where a user has explained the issue. So the question is why are users seeing this message, right? Here goes the answer, the Chrome employee on Reddit and chrome help forumd that this is happening due to recent changes made (check out) in version 73 of Chrome. If the user sees a message, i.e., Managed by your organization, it means some software or extension has set some Chrome enterprise policies. Now this is common, if a users is part of an orgnaization. He also said that the company is aware of the issue. 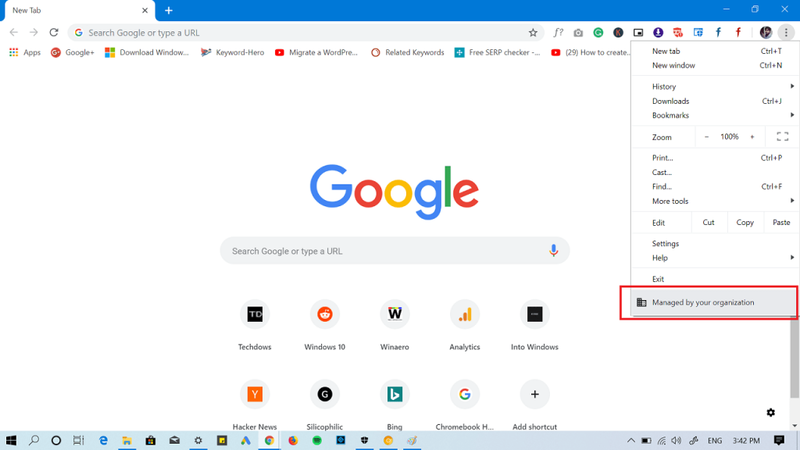 In case, you’re not part of an organization and still seeing the message, then chances are high that unwanted program has hijacked Chrome policy management and lock you into having specific Chrome settings. Luckily there is a way to fix the issue and get rid of the Managed by your organization message. But first, lets find out what Chrome policy is being managed. In the Chrome browser, copy-paste Chrome://policy in the address bar and hit enter. This will take you to the Chrome policy page, here you will find out what chrome policy is being managed. On the Chrome policy page, if you see a list of policies, then under click on the Policy name, click on the policy link, this will take you Chromium policy page giving you all the information about the particular policy. If you find out some software installed on your computer set the same policy without your knowledge, then you can remove that software or disable the same policy using registry editor. On the Chrome Policy page, if you find no policy, then the activity on a particular device is handled outside of Chrome. In this situation, you can try the solution suggested by the product expert on the Chrome support forum. First of all, you need to report this and Chrome team will digg into the issue. Next, download and the Chrome Policy remover using this link. It is batch file that contain commands to delete Chrome policies. Note: If you see the message that it will harm your computer, then ignore then message and select keep. Run the batch file as Administrator. For that, right click on the file and select Run as administrator. When UAC dialog box comes up, click Yes to continue. In case, the above method fails to fix the issue; then another way is to disable “Show manage UI for managed users” flag. For that, visit this flag: chrome://flags/#show-managed-ui and using the drop-down select Disable. Next, relaunch the browser. You will notice that this fixes the issue. Find this blog post handy? Need further assistance, feel free to contact us via comments.